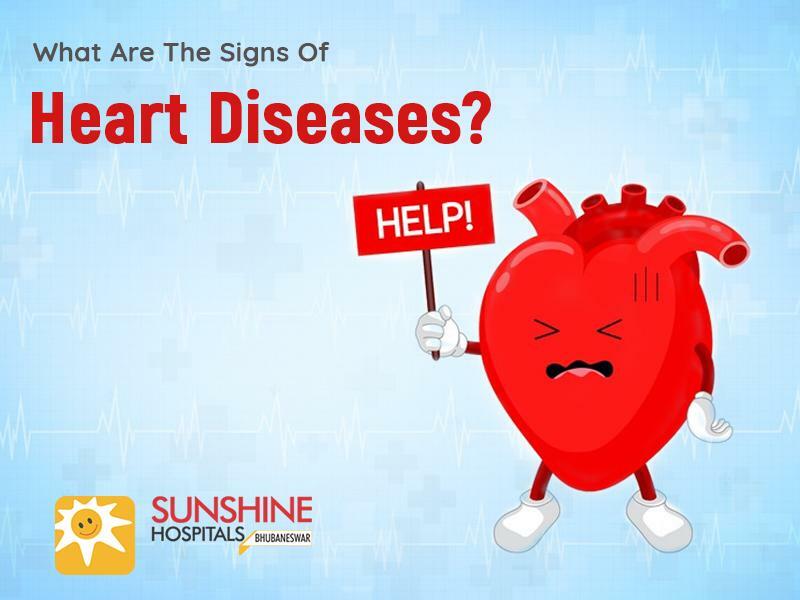 What Are The Signs Of Heart Diseases? The heart is an important organ which pumps blood to different parts throughout the body. A heart disease means any condition that affects the heart or its function will result in heart disease. Medically heart disease is termed as a cardiovascular disease. A cardiovascular disease usually refers to various conditions like narrowed or blocked blood vessels which can lead to heart attack, chest pain or stroke. Some other heart conditions, which can affect your heart’s muscle, valves are also considered different forms of heart disease. Cardiovascular disease symptoms might be different for both men and women. Most of the men are likely to have chest pain wherein most women having other symptoms along with chest pain, like nausea, shortness of breath, and extreme fatigue. It is also known as atherosclerotic cardiovascular disease. Atherosclerosis referred to the building of fats, cholesterol and other substances in and on the artery walls which restricts the flow of blood to different organs and tissues. Atherosclerosis develops slowly, and it doesn’t have any symptoms in the initial stages. You can notice signs when an artery is narrowed or clogged and can’t supply adequate blood to your organs and tissues. Temporary loss of vision in one eye, or drooping muscles in your face. In some cases develops high blood pressure or kidney failure also. Heart arrhythmias refer to abnormal heartbeat problems. It occurs when the electrical impulses that coordinate with the heartbeats don’t work correctly and lead to beat the heart too fast, too slow or irregularly. A heart has four valves (aortic, mitral, pulmonary and tricuspid valves) that open and close to guide the flow of blood through the heart. These valves might get damaged by various factors that cause problems like narrowing (stenosis), leaking (regurgitation or insufficiency) or improper closing (prolapse) of valves leads to valvular heart disease. Congenital heart diseases are referred to people born with defected heart. Heart defects at the time of birth include Septal defects (holes in the wall which divides of your heart), pulmonary stenosis (narrow valve that causes a decrease in the flow of blood to your lungs), Cyanotic heart disease(defect in the heart that causes a shortage of oxygen) and In some babies, the ductus arteriosus(a small blood vessel) doesn’t close up at the time of birth as it should. Often, they become evident and leads to problems right after birth. Cardiomyopathy is a group of diseases related to heart muscle like dilated cardiomyopathy, in this condition the heart muscle is weakened and can’t supply blood properly and hypertrophic cardiomyopathy which is inherited and restrictive cardiomyopathy. Inflammatory heart diseases are caused by known infectious agents like viruses, bacteria, fungi or parasites, or due to toxic materials present in the environment, water, food, air, poisonous gases, smoke, and pollution, or due to any other unknown origin. For instance, Myocarditis and Endocarditis are viral infections or inflammation of the heart muscle (myocardium). Heart disease can be treated when detected early. If you have any concerns over developing heart diseases, talk to your doctor about the preventable measures to reduce the risk of your heart disease. It is important to be more cautious if you have any family history of heart diseases. We, at Sunshine Heart Institute, believe in taking a comprehensive, personalised approach towards patient care. Sunshine Hospitals, Bhubaneswar is an ultramodern 125-bed, tertiary care hospital located in the heart of Bhubaneswar. Established in the year 2015 with a mission to provide quality healthcare services to the people of Odisha. Sunshine’s patient-first approach steers it steadily in the direction of ensuring that state-of-the-art technology meets state-of-the –heart services to produce positive patient outcomes.